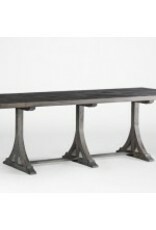 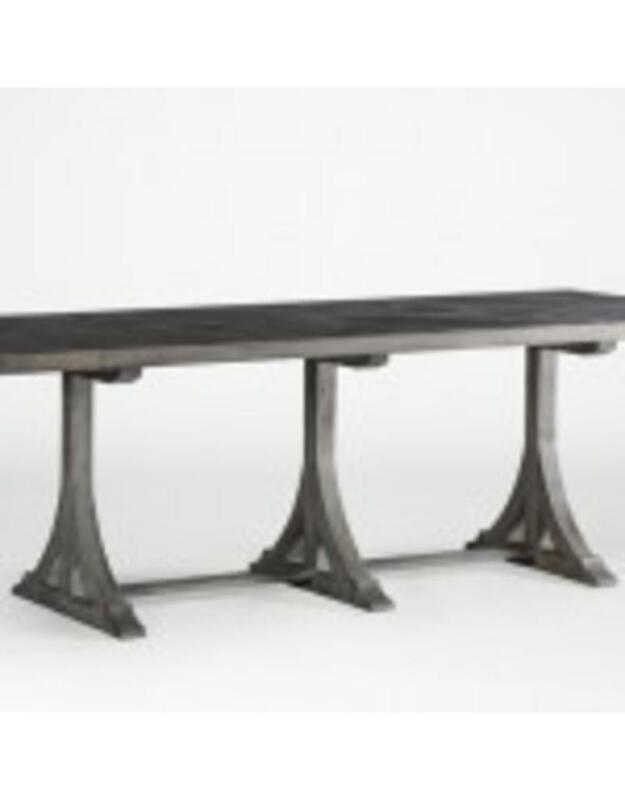 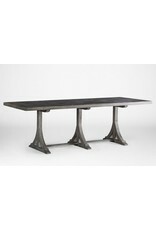 A large, rectangular, retro style dining table top rests over a repeated classic half trestle base. 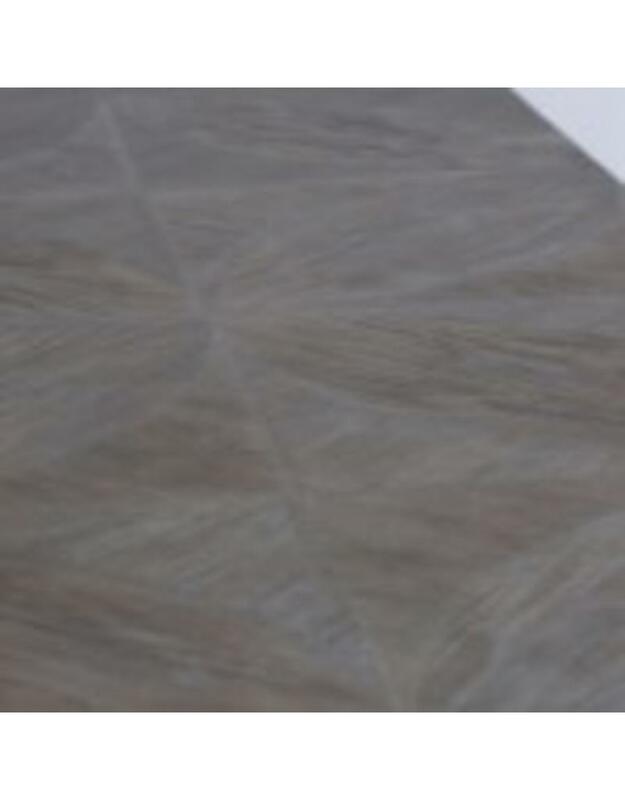 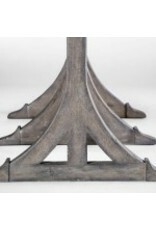 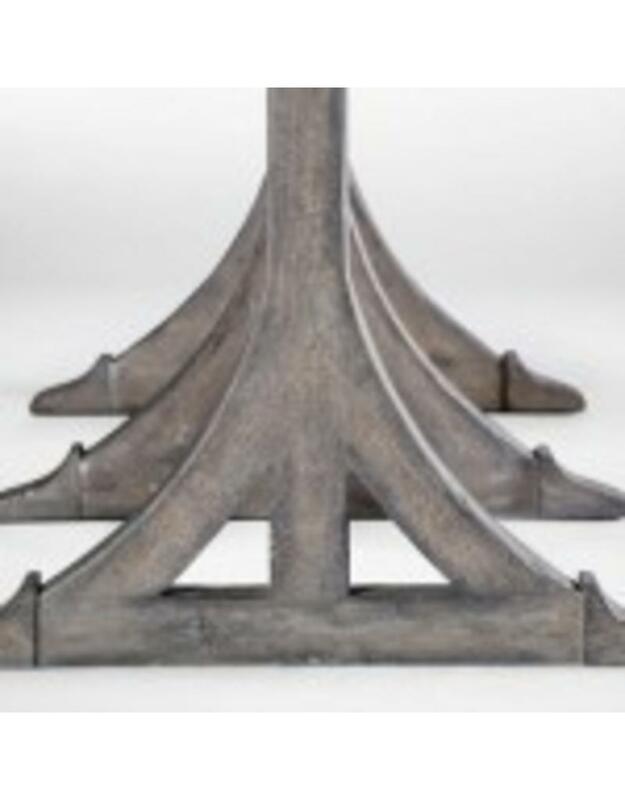 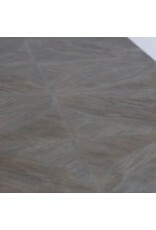 Top design features bookmatched acacia in a flower pattern with a dark antique Gray wash finish. 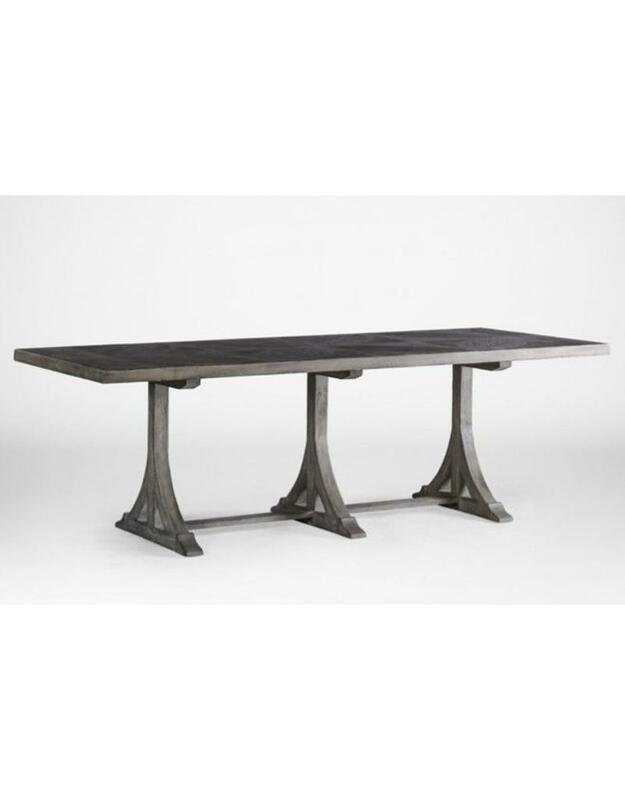 Timeless and romantic, our Adams Dining Table seats 8 comfortably.